The Minister of Defense has approved the creation of a new settlement inside the Palestinian city of Hebron, making it the first settlement in the city since the 1980s. 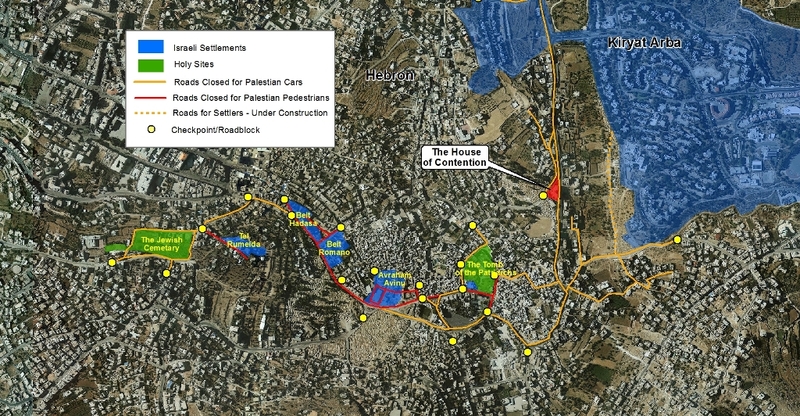 The impact of the settlement is remarkable: a large building, 4000 square meters, that can hold more than 20 settler families (more than 120 people) and on a strategic and pivotal location: relatively distant from the other settlements inside Hebron, and on the route that connects Hebron to Kiryat Arba settlement. 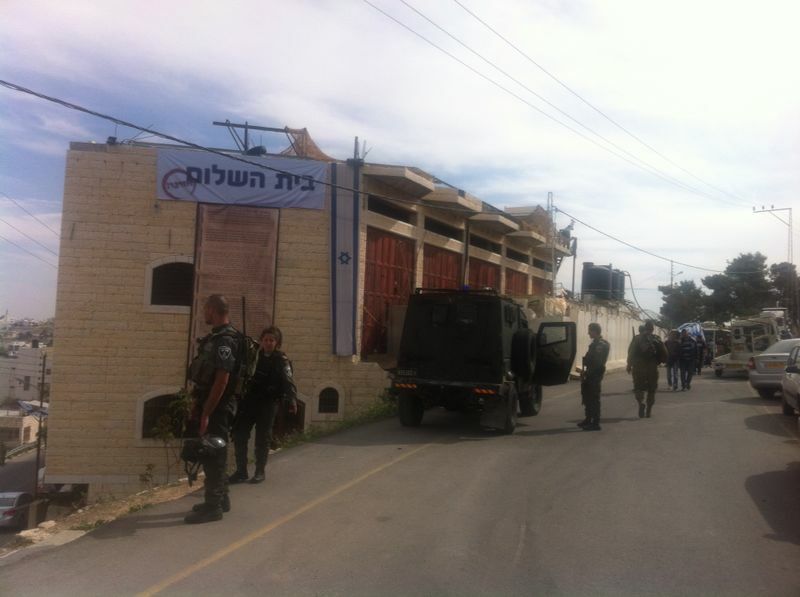 After a week of entering freely and at will into the house of contention, yesterday (14.04) the first three settler families entered the “house of contention” (aka as the “brown house” according to the military and the “house of peace” according to the settlers). Now that the house is back in the control of the settlers, we can expect that in the near future, further settler families will enter the house. 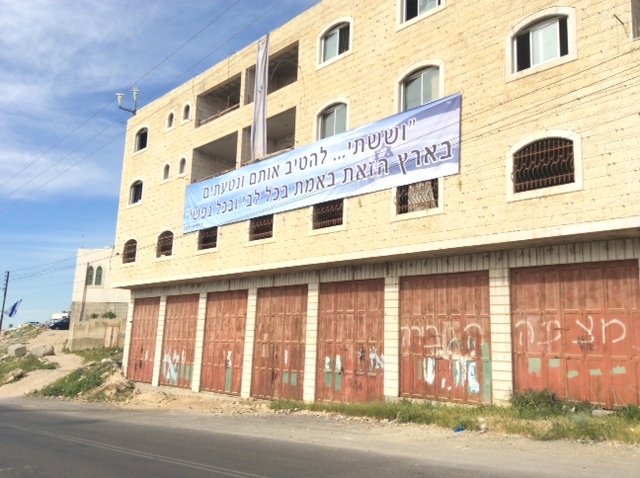 The entrance of the settlers into the building was made possible due to an approval by the Minister of Defense. While the Supreme Court ruled last month (11.03) that the property of the building belongs to a settler group, the purchase could only be made possible after the Minister of Defense granted his approval. 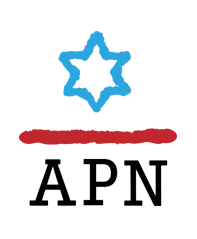 Every purchase between Israelis and Palestinians in the Occupied Territories must receive the approval of the Minister in order to restrict that the political decision of creating a new settlement remains within the powers of the Israeli government. Furthermore, according to the military laws, the approval of the Minister must be made before the actual purchase between the sides is made, and not like in this case, where the Minister granted his approval after the settlers purchased the building.